I couldn’t help but post this, a little gem stumbled upon by mere chance, a sweet surprise. 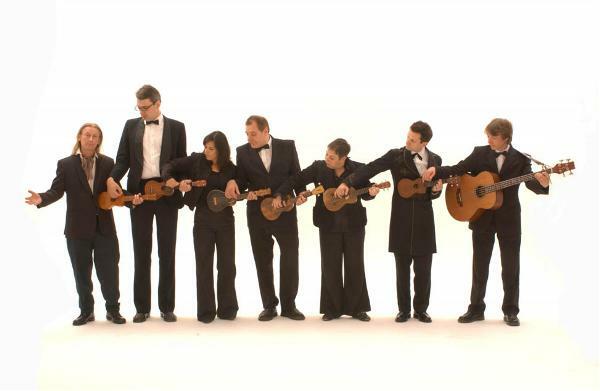 Ladies and gentlemen presenting the the Ukulele Orchestra of Great Britain! They are a bunch of blokes who have set out to interpret the world with their Ukes. They have collaborated with Yusuf Islam (Cat Stevens), Kaiser Chiefs and David Arnold to name a few. As an instrument Uke is blessed with the ability to captivate the listener in the first listen itself and they have exploited it to the hilt. Watch this brilliant piece of work. Visit their web page for more vids.